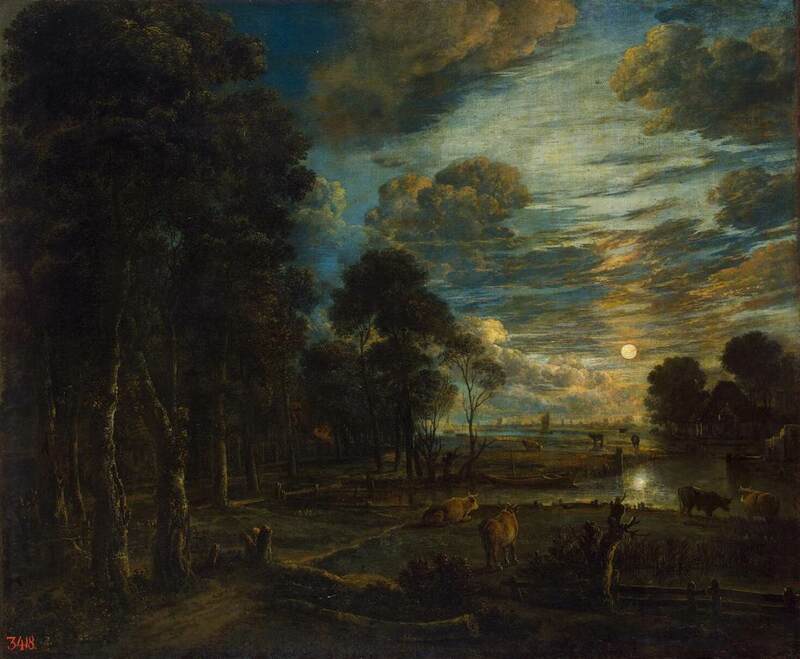 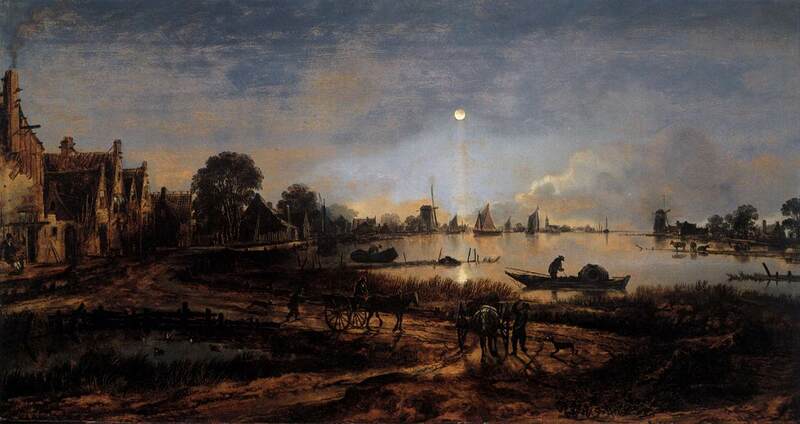 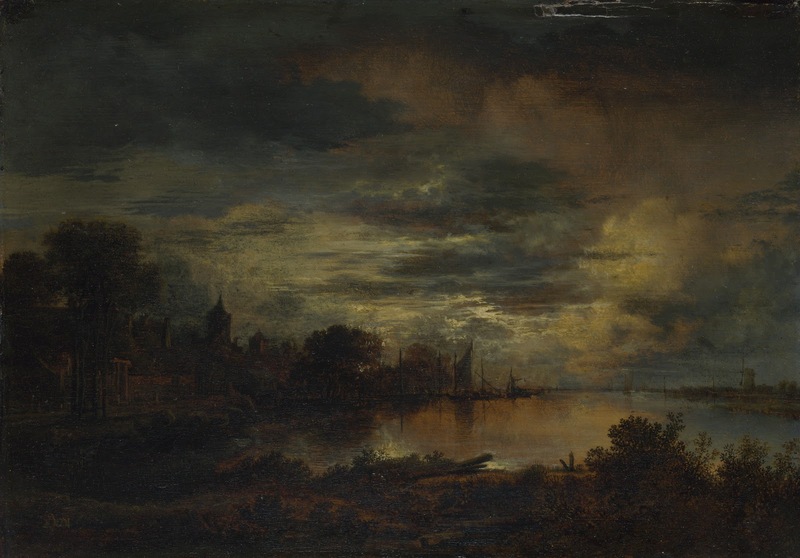 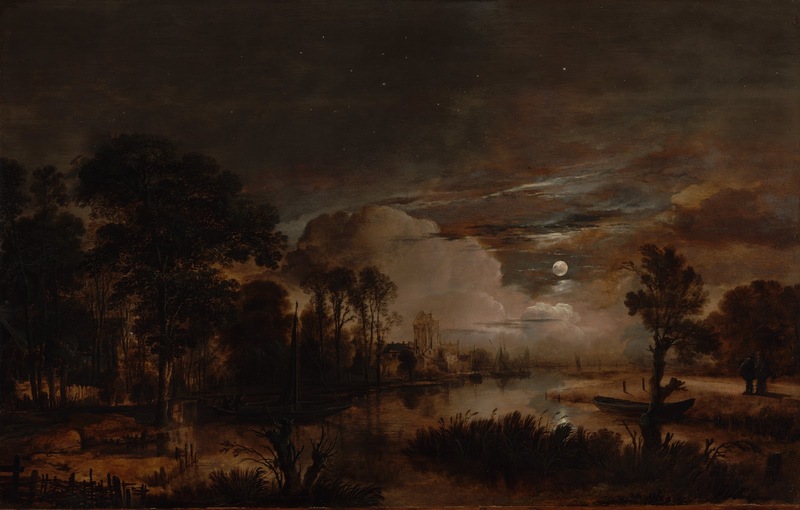 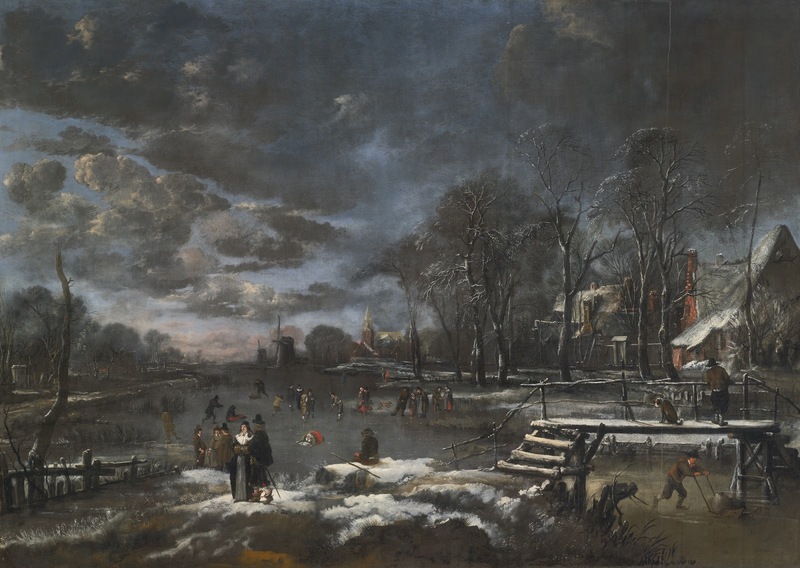 Aert van der Neer, Aert also called Aernout (born 1603/04, Gorinchem [also called Gorkum, or Gorcum] or Amsterdam, Netherlands - died November 9, 1677, Amsterdam) Dutch painter of the Baroque period, famous for his nocturnal landscapes and winter scenes. 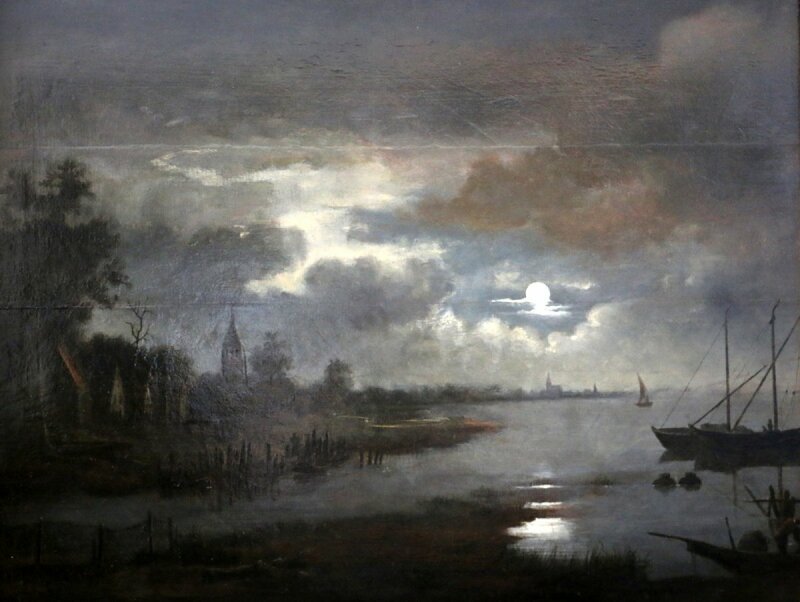 His mastery of light effects is revealed in his many darkened landscapes lit by a full moon or a burning building as well as by his sensitivity to the appearance of light on water and ice. 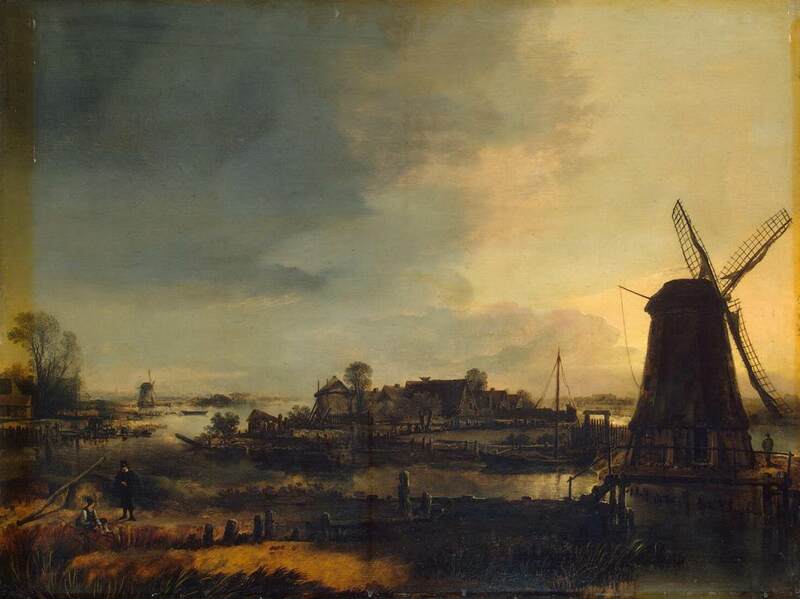 According to one of his earliest biographers, Arnold Houbraken, van der Neer worked as a steward for some years while living in or near Gorinchem. 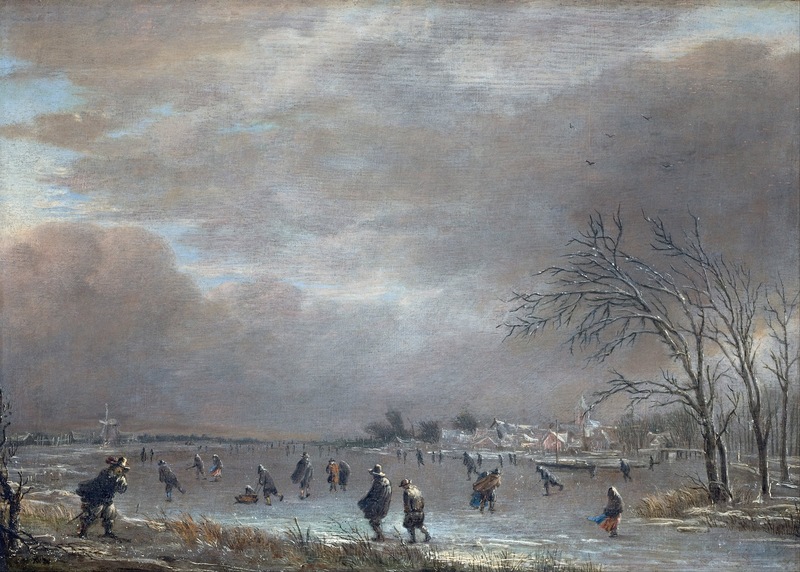 During this period he may have studied painting with Rafel Govertszoon Camphuijsen (Camphuysen), one of his wife Lysbeth’s older brothers. 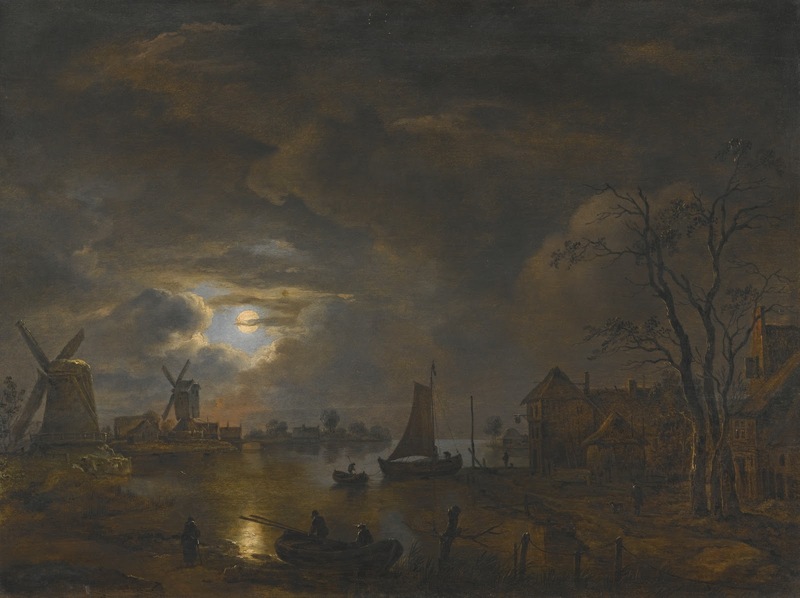 Whatever the case, van der Neer did not begin his painting career until he was in his late 20s; his first known work, a genre painting, is dated 1632, the year in which he is believed to have moved (or moved back) to Amsterdam. 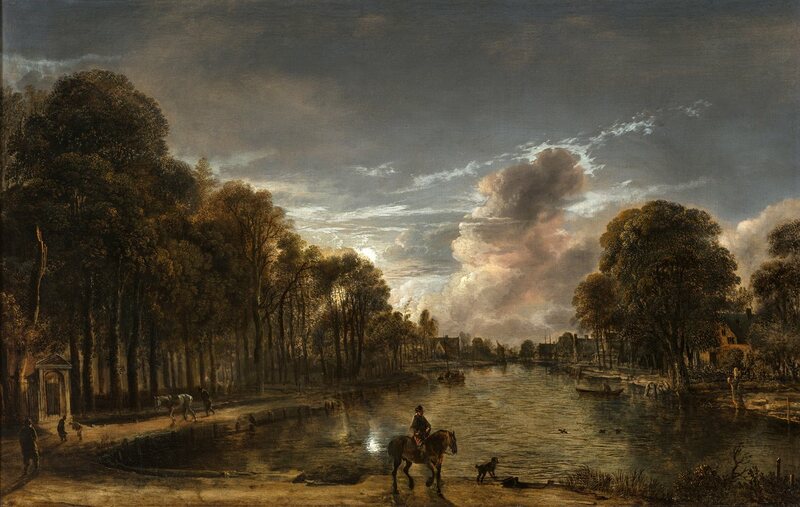 An early landscape contains van der Neer’s signature as well as that of another artist brother-in law, Jochem. 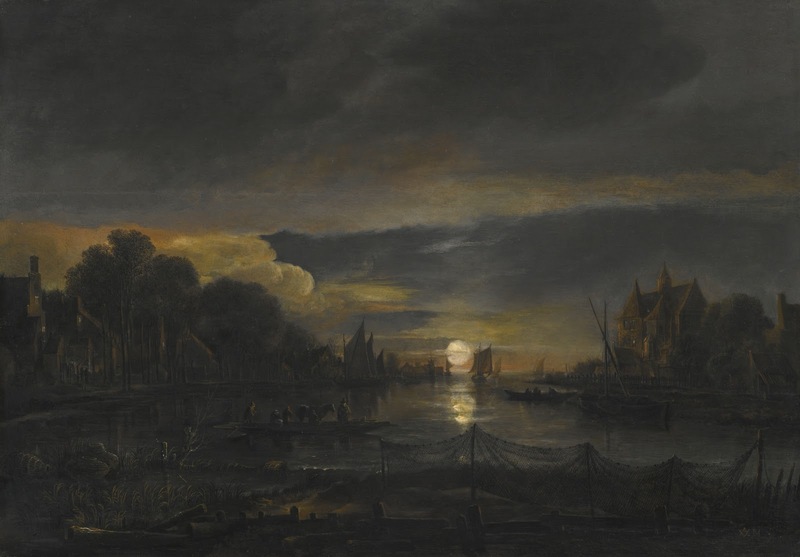 (The works of both brothers-in-law are often mistaken for those of van der Neer, but most scholars consider them inferior.) 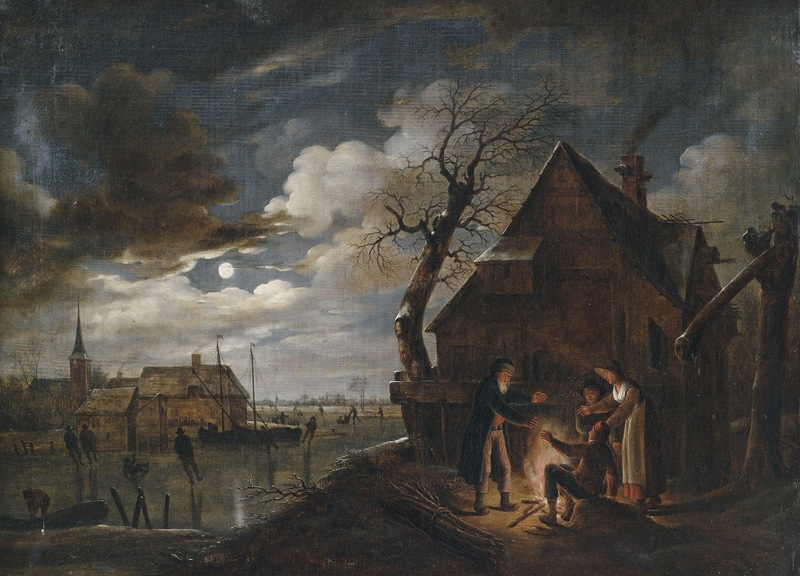 Van der Neer’s work exhibits the influence of a Flemish landscape tradition known to art historians as the Frankenthal school, represented chiefly by Gillis van Coninxloo. 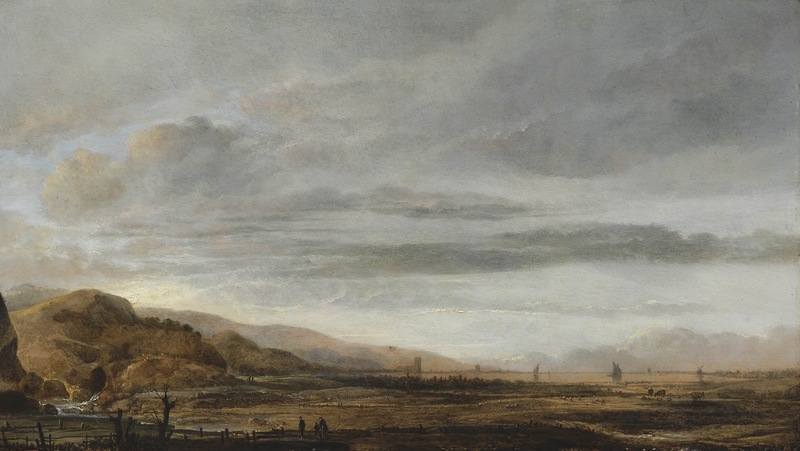 Characteristic features of that school are the use of a limited tonal palette, the depiction of winding paths that lead the eye, and the presentation of isolated figures. 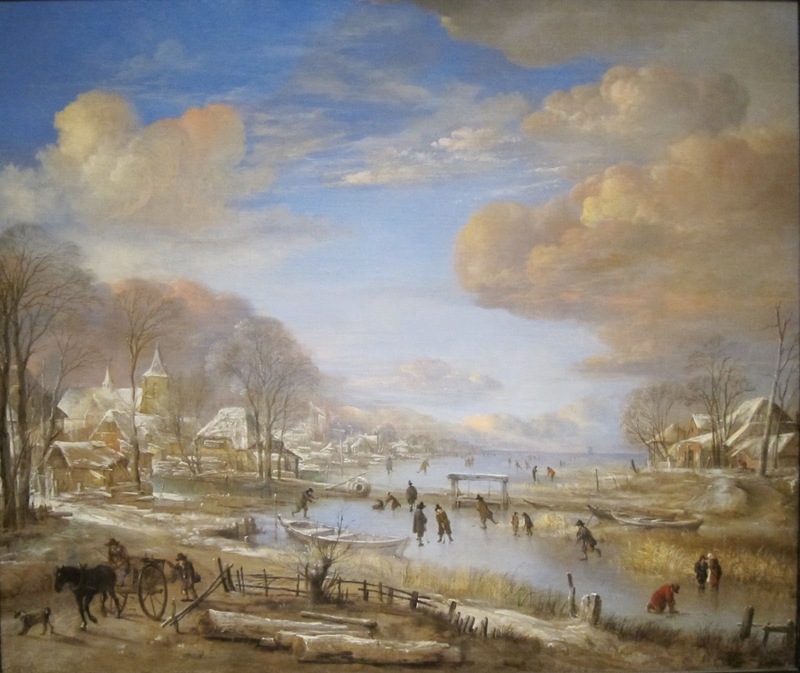 Apart from a number of accomplished winter scenes-such as View of the River in Winter in the manner of Hendrik Avercamp (1585-1634), who was among the first northern Dutch painters of winter scenes-van der Neer specialized in canal and river landscapes seen by the light of sunset or early dawn or-most characteristic of all-by moonlight, as in River Scene by Moonlight. 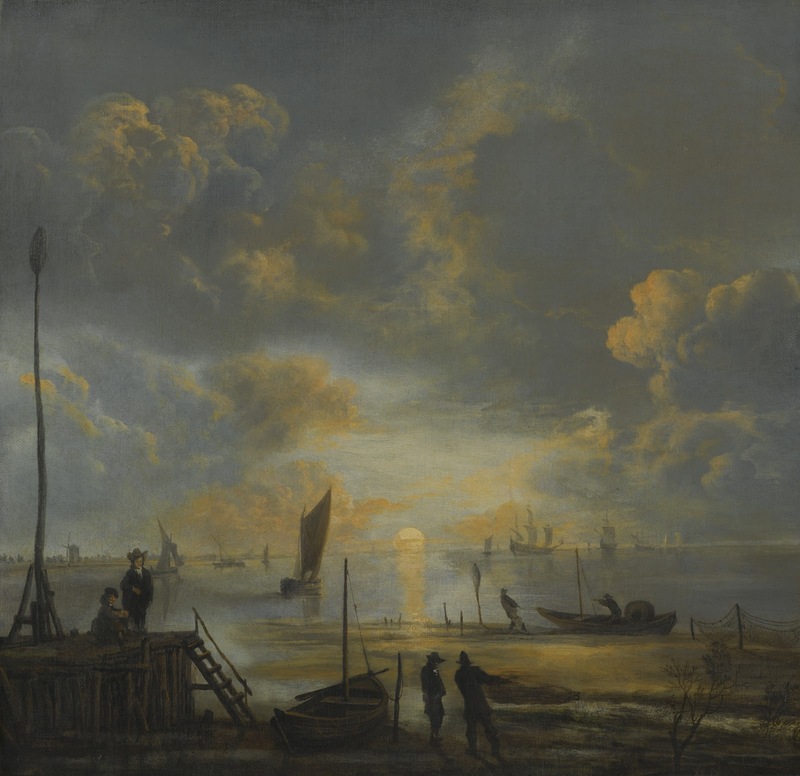 Within this somewhat limited range, van der Neer had no rival among his contemporaries. 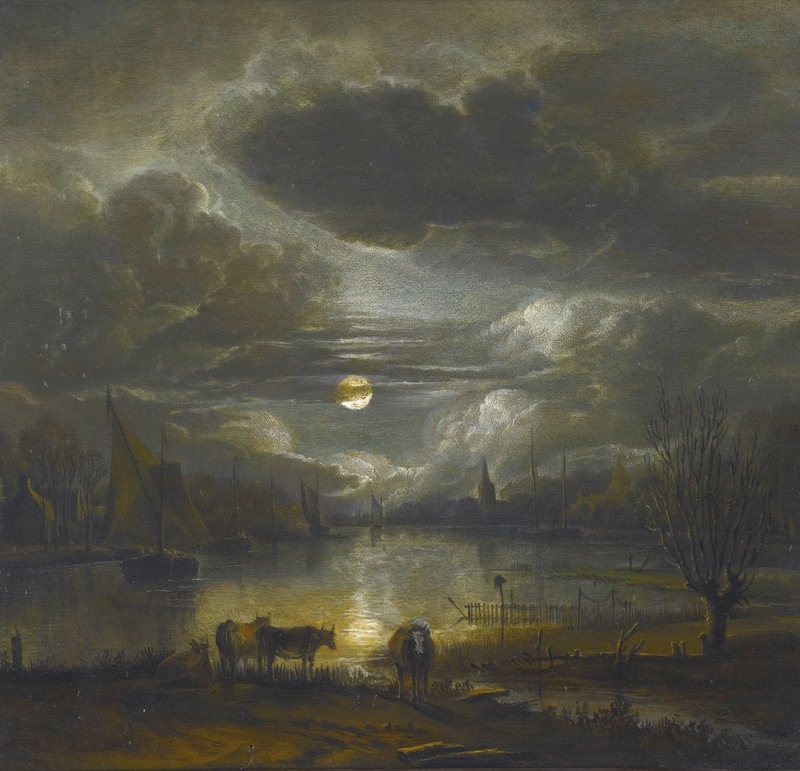 His sensitive handling of subdued light and its reflections on water and in the windows of riverside houses is unequaled. 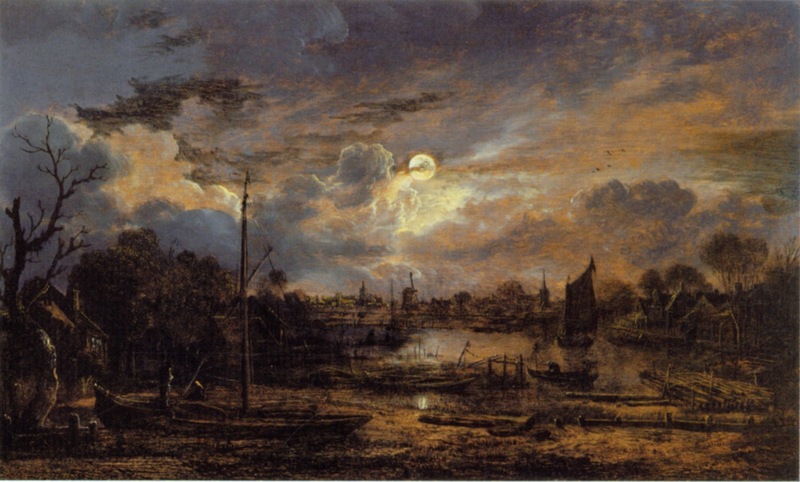 Scholars agree that he was at the height of his powers from the mid-1640s to about 1660. 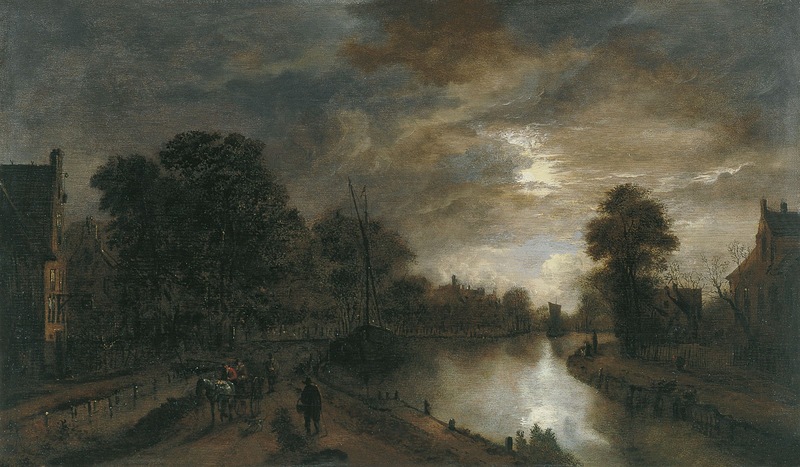 He seems not to have had much financial success as a painter, however, and about 1658 or 1659 he opened a wine tavern, De Graeff van Hollant, in Kalverstraat with his son Jan. 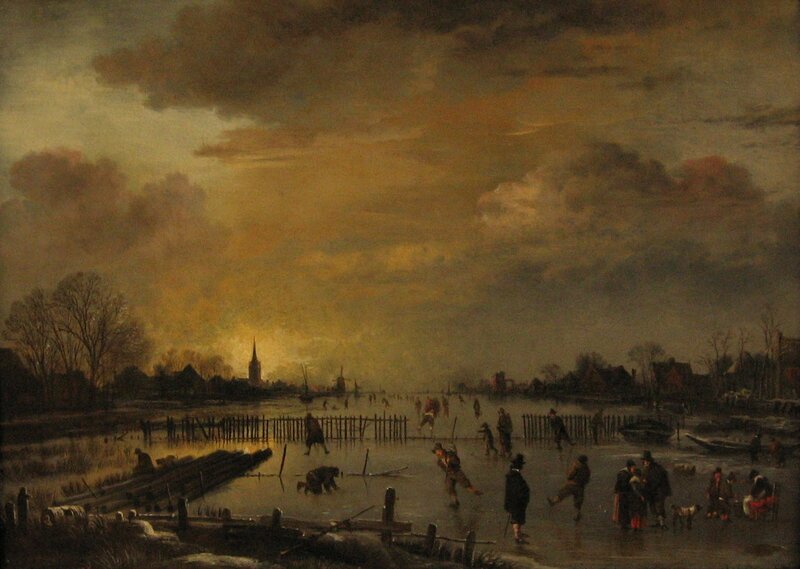 This venture ended in bankruptcy in 1662. 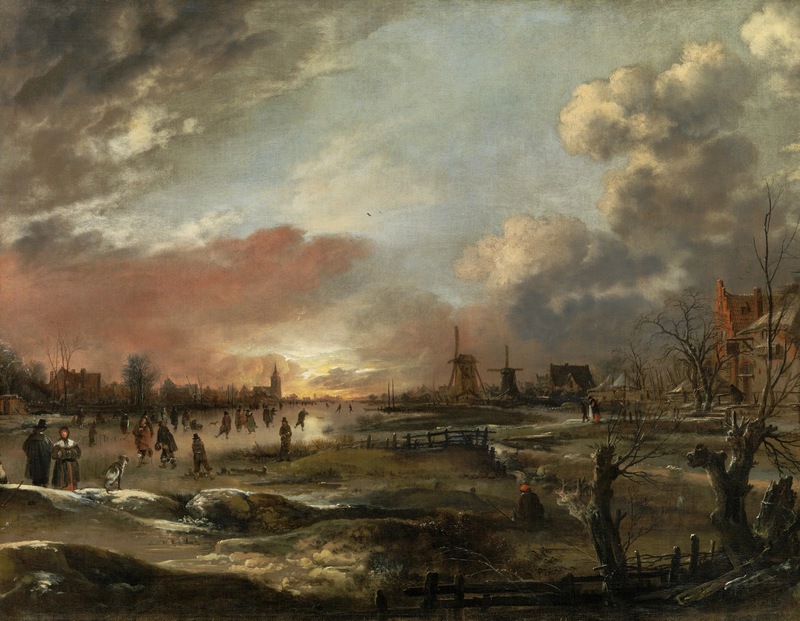 Living in poverty, van der Neer is believed to have continued to paint, for he is described as a painter in the inventory that was made of the few belongings he possessed at the time of his death. 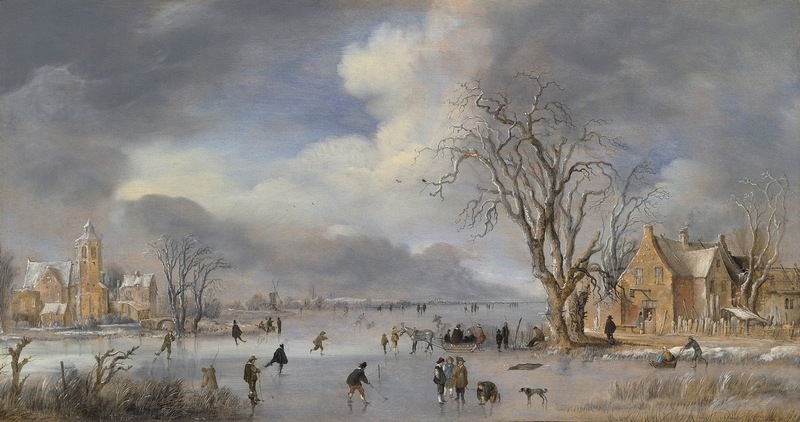 His son Eglon van der Neer (c. 1634–1703) was also a painter, and some paintings have also been attributed to the aforementioned son Jan. | Kathleen Kuiper © Encyclopædia Britannica, Inc.
Aert van der Neer (Amsterdam, 1603/1604 - Amsterdam, 9 novembre 1677) è stato un pittore Olandese. 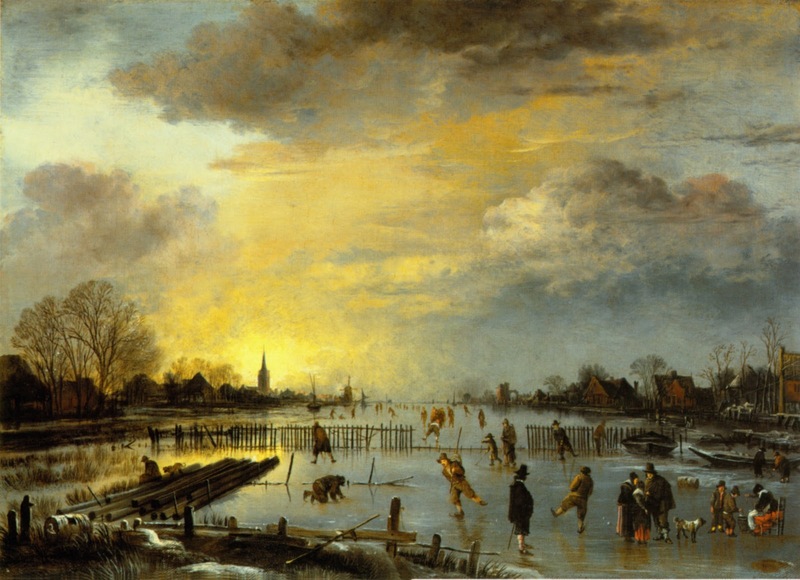 A Gorinchem, dove aveva un lavoro come amministratore di una proprietà, dovette entrare in contatto coi pittori di paesaggi Rafael e Joachim Camphuysen, che ebbero una decisiva influenza sulle sue prime opere. 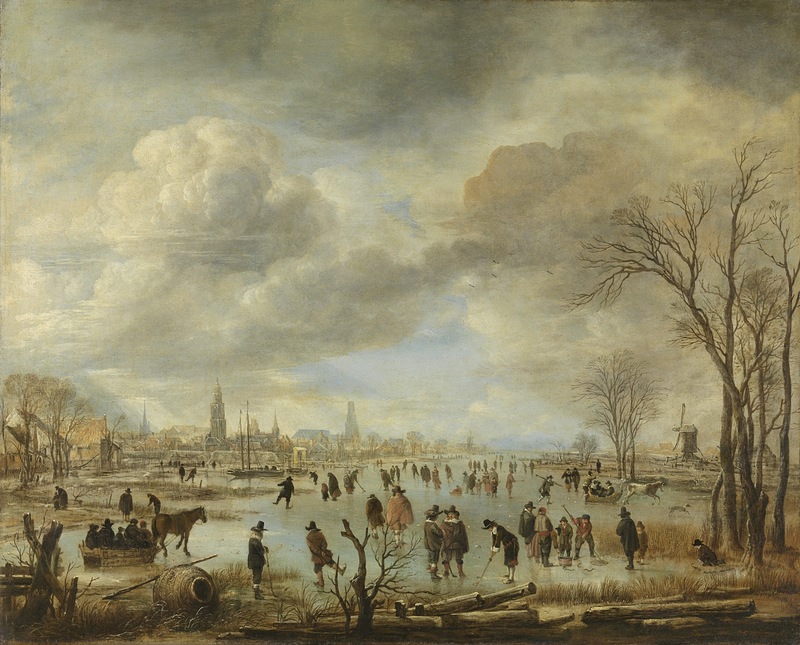 All'inizio degli anni trenta si trasferì ad Amsterdam, dedicandosi asclusivamente alla pittura e raggiungendo presto uno stile indipendente. 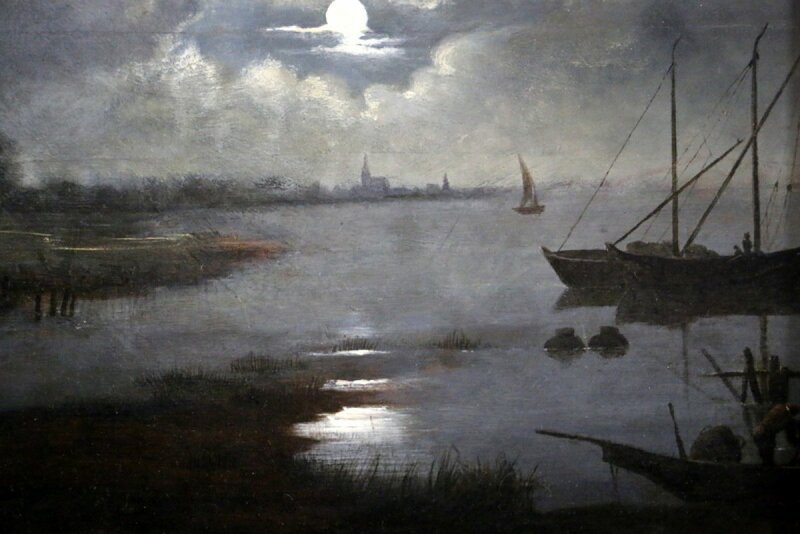 I segni di affermazione furono comunque pochi e distanti nel corso della sua vita, tanto da essere costretto poi a lavorare anche come locandiere. 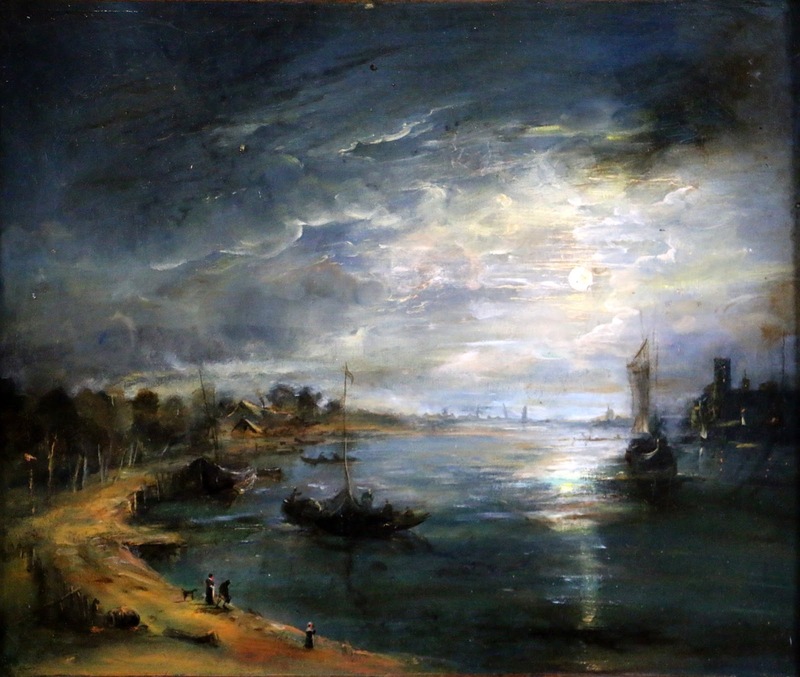 Morì in condizioni di povertà. 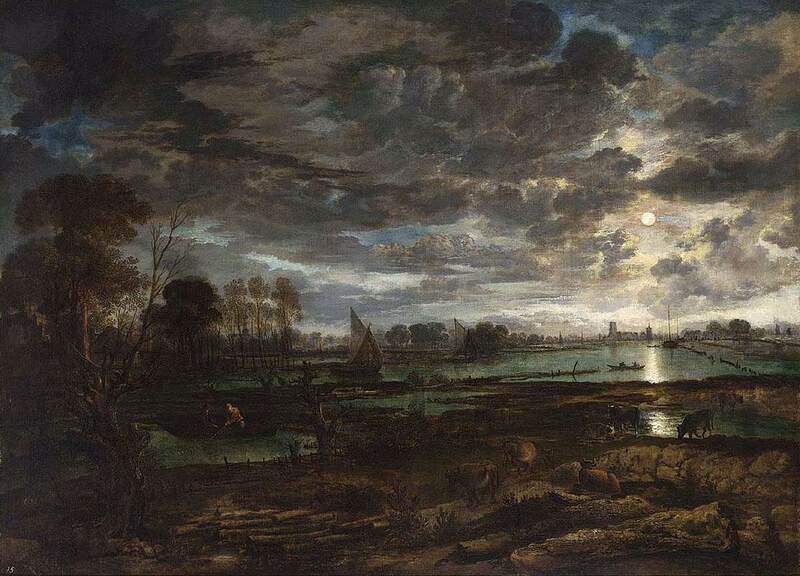 Nonostante lo scarso successo in vita, van der Neer è stato rivalutato dalla critica successiva come uno dei più importanti paesaggisti del suo tempo. 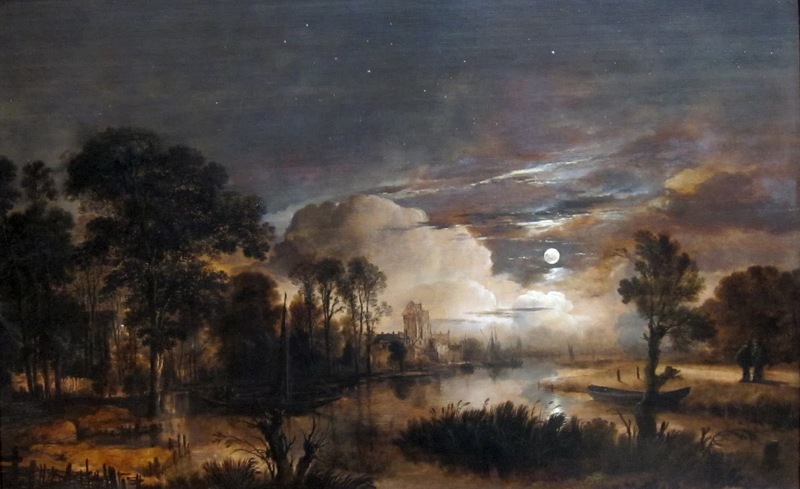 Affascinato dalla resa luminosa sulla terra, sull'acqua e nel cielo, sperimentò la pittura di varie situazioni atmosferiche, dal tramonto al chiaro di luna, fino ai bagliori durante un incendio. 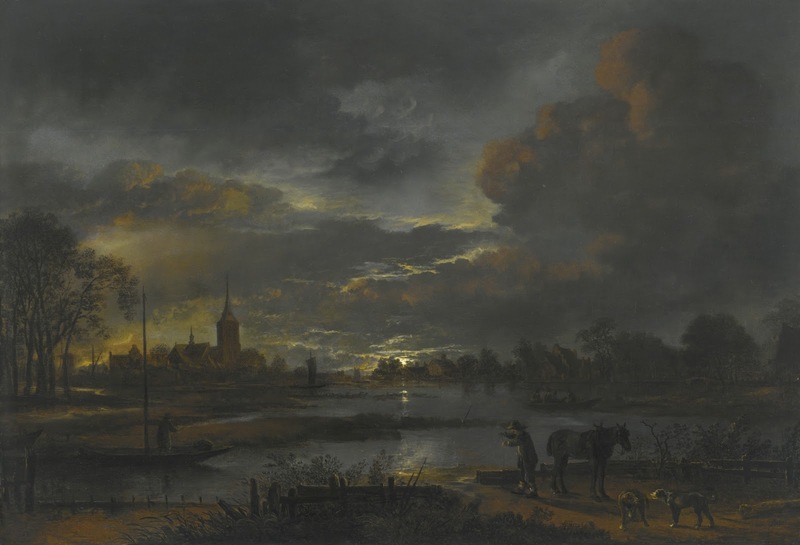 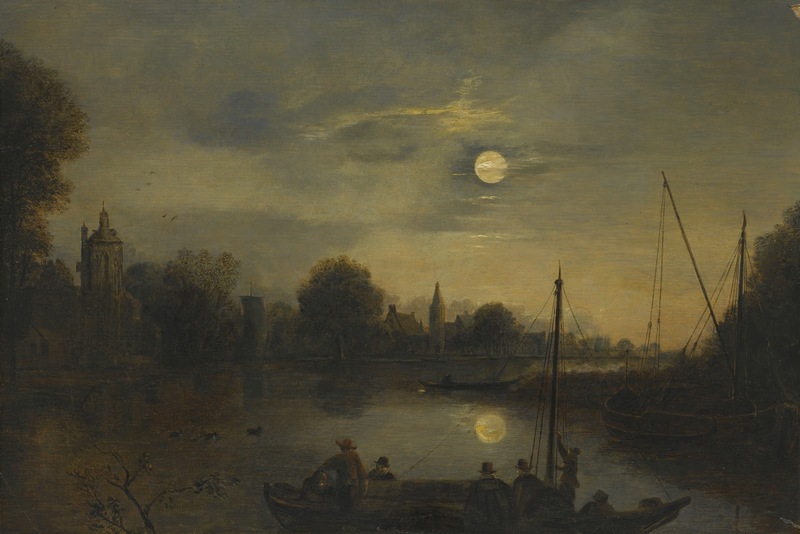 A differenza di artisti contemporanei come Jan van Goyen e Salomon van Ruysdael non era attratto dai toni smorzati e confusi dalla foschia, ma piuttosto dalla luce più scintillante, dai riflessi, dai tenui bagliori notturni, dalle iridescenze sul ghiaccio e la neve nei paesaggi invernali. 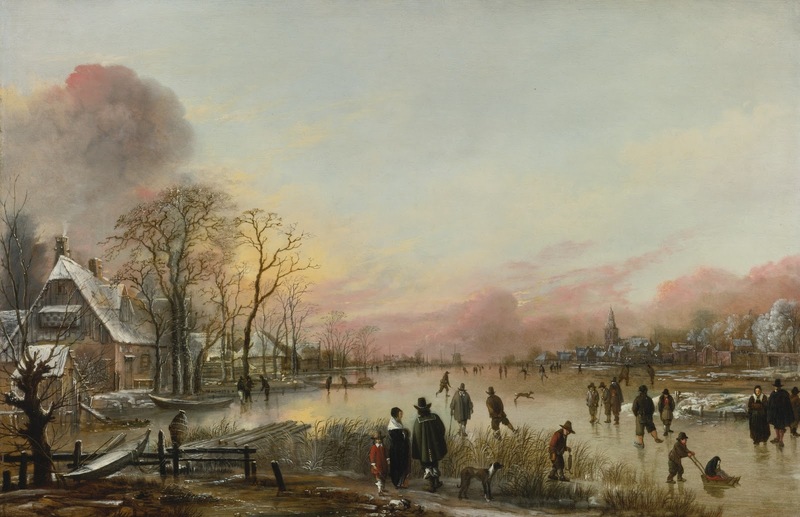 Suo figlio Eglon Hendrik van der Neer fu pure un pittore.